Saif Ali Khan and his daughter Sara Ali Khan were supposed to act together in Nitin Kakkar’s next relationship drama but something didn’t work out and the Kedarnath and Simmba heroine was replaced by Pooja Bedi’s daughter Alaia Furniturewalla. Ironically, the role is that of Saif’s on-screen daughter in the film Jawaani Jaaneman and it’s a pity Sara didn’t get it. But there’s hope yet for this asli baap-beti jodi because bringing them together will reportedly be Imtiaz Ali. Yes, PeepingMoon.com has exclusively learned that Saif will also be starring in Imtiaz’s love story that is rumoured to have Sara and her crush Kartik Aaryan as the romantic leads while Saif will be playing his age. He will be Sara's father in the film. 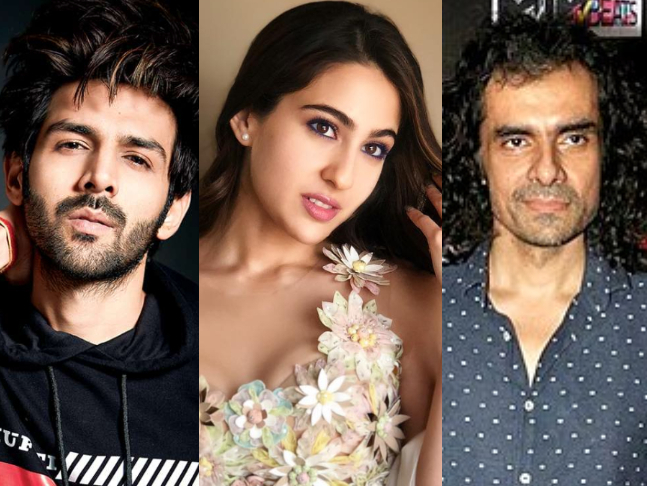 Recommended Read: Will Imtiaz Ali’s next featuring Kartik Aaryan and Sara Ali Khan be a sequel to Love Aaj Kal? The film is believed to be a sequel to Imtiaz’s much-loved 2009 romcom drama Love Aaj Kal that had Saif opposite Deepika Padukone. Rishi Kapoor and Rahul Khanna also acted in that film. The sequel is untitled but in keeping with Imtiaz’s traditions, it will be a love story with a twist and also be a bit of a travelogue. The hallmark of this sequel is reportedly going to be its melodious music and some stirring emotional moments like Love Aaj Kal had which deal with issues that modern couples face in comparison to the older generation. Pritam Chakraborty has been roped in to compose the music while Irshad Kamil will be penning the lyrics. Imtiaz, who is known for romantic films like Tamasha, Jab Harry Met Sejal, Socha Na Tha, Jab We Met and Rockstar, plans to roll this directorial in a few months after Kartik and Saif get free from their respective commitments. While Kartik will soon start shooting for Mudassar Aziz’s Pati Patni Aur Woh remake, Saif is currently shooting for Ajay Devgn’s Tanaji and Sacred Games season 2 simultaneously.